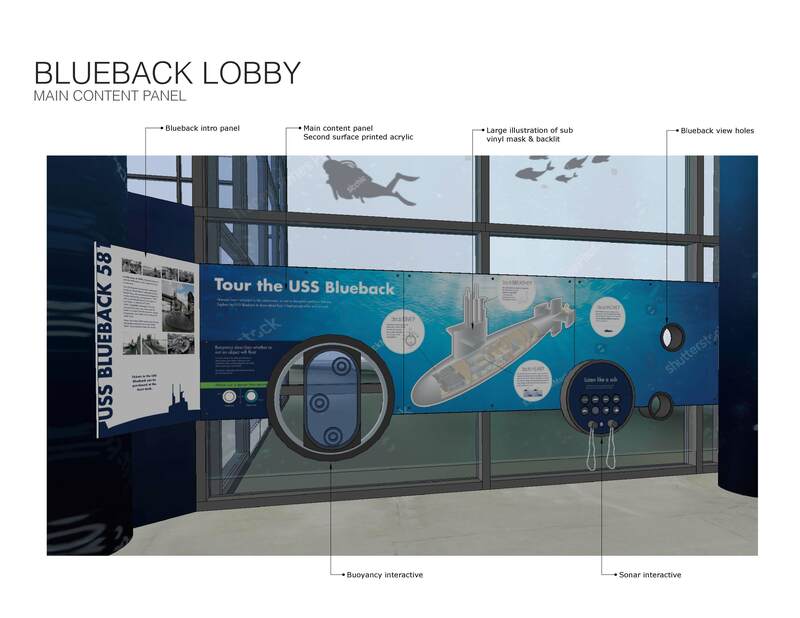 Create an environment to tell the story of the USS Blueback and the ingenuity of submarine design and technology tinviting visitors to learn more. 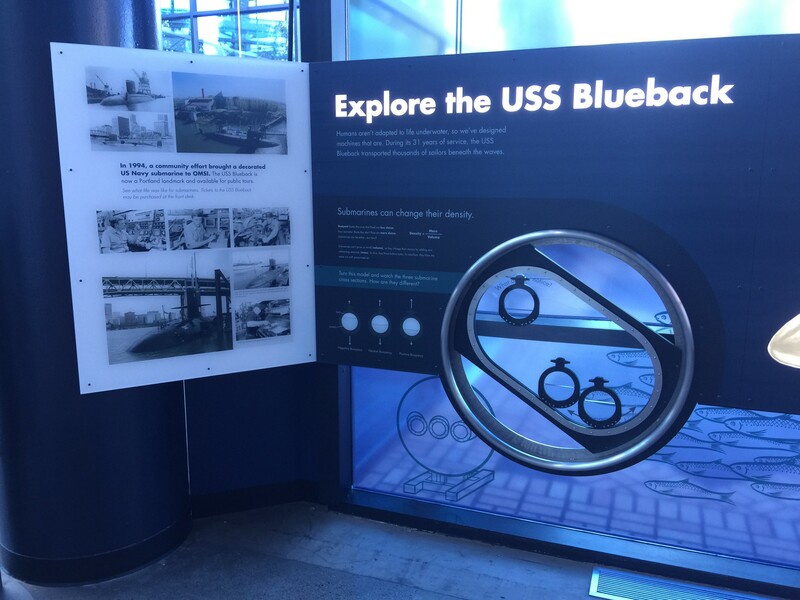 OMSI’s creative services team developed an interpretive area, giving visitors an opportunity to explore unique aspects of submarines with hands-on activities to tell the story of the USS Blueback. The USS Blueback area creates an immersive space, highlighting one of OMSI’s more unique exhibits. OMSI's creative services team has an entire museum to create, build, test and perfect exhibits. 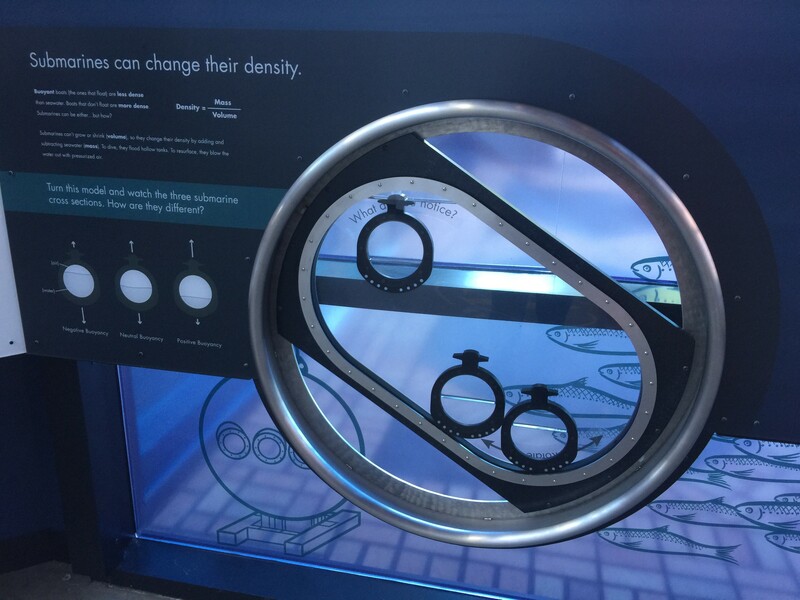 Our knowledge of interactives from multiple perspectives gives OMSI the ability to design and produce exhibits that meet the highest standards. Our own! The USS Blueback submarine (SS-581) is a decommissioned 1959 Barbell-class submarine located on the Willamette River, just outside OMSI’s main building. The new exhibit created a larger presence in the museum where visitors could explore sonar and buoyancy, unique aspects of submarines ahead of the tour. The sonar listending station and bouyancy interactives are both positioned for adults and younger children to easily engage in the hands-on components. Those unsure about boarding a real submarine can see what the inside before they decide to explore the Blueback in the water. A replica of the forward passage door lets visitor see how tight some spaces are for the sailors on the USS Blueback, and for tour visitors.